Review Love or loathe Apple, you can't deny it makes gorgeous-looking computers. Are there cheaper machines? Sure. Better spec'd? Maybe not, now that the new MacBook Pros are here, complete with Intel's very latest mobile processors and an interconnect tech no one else has yet. That's Intel's 10Gb/s Thunderbolt, of course, but it's effectively irrelevant until peripheral makers roll out equipment that can make use of it. Right now, it's so poorly supported, its presence on the 13in MBP - and the rest of the range, for that matter - will excite only to the most ardent of fanboys. Good future-proofing, yes, but not a reason to rush out and buy one. Me, I'd rather have had USB 3.0 for now. At least I can go out right now and buy a SuperSpeed hard drive. There's not much else I'd ask Apple for. An extra USB port, perhaps. Blu-ray maybe. The MBP has an 8x DVD burner, and Apple's notorious dismissal of the HD disc format means we're unlikely to see a BD-equipped MBP. I'd certainly like a higher screen resolution. 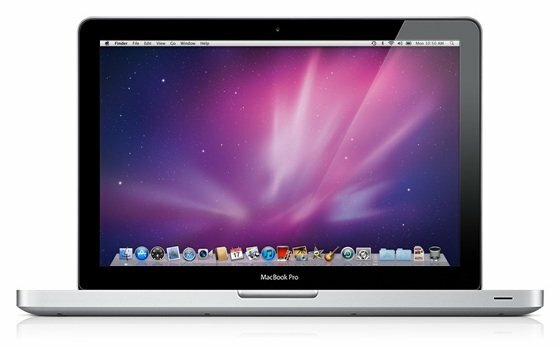 The 13in MBP's 1280 x 800 really ought to higher - 1440 x 900, at least - on a model commanding £999 and up. Top marks for not going totally widescreen - I'd rather have a 16:10 1280 x 800 than 16:9 1366 x 768. The price may be high, but comparison with seemingly similar specced but cheaper PCs is dangerous. Few of them, for instance, include a full 802.11n Wi-Fi adaptor that works not only in the 2.4GHz band but also at 5GHz, a less interference-filled band. It also has a 3x3 antenna array - most other machines are limited to 1x1.